In 2014, the City of Denton had a problem: natural gas pad sites were springing up all over town. There were over 300 gas wells within city limits alone. 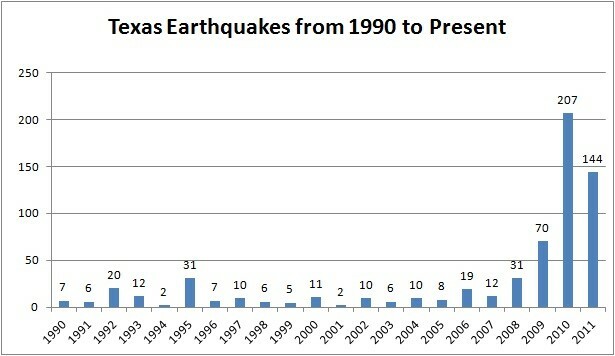 By that time, the connection between fracking and seismic activity had been scientifically well-established, so Denton’s citizens were concerned. They decided to act: they participated in democracy at a neighborhood level. They gathered enough petition signatures to put a ban on fracking within city limits on the ballot. Despite aggressive tactics from industry groups – they outspent the ban supporters by 10 to 1 in trying to persuade voters not to adopt the ban - the measure passed by a wide margin: 59% to 41% in November of that year. It was a classic case of grassroots effort beating corporate money in a democratic contest. Upon signing, Governor Greg Abbott said the intent of the bill was to prevent “a patchwork of local regulations” from preventing oil and gas production. I’m a businessman. “A patchwork of local regulations” is one of those environmental factors that a business has to learn to deal with, or perish. Any business that can’t manage its way around a patchwork of local regulations has no right to be in business. I suspect that oil and gas companies have sufficient internal resources to manage patchworks, and if they don’t, they can afford to hire a patchwork analyst. When it comes to a community’s people determining for themselves how to manage their natural resources versus corporations using outsized power to put the kibosh on democracy – folks, I may be a businessman, but I’m always going to side with democracy. The war on local control has continued since: the 85th legislative session saw multiple state-led attacks on local control on several fronts, from trees to bathrooms to ride-sharing applications, but most particularly on a community’s ability to raise property taxes if needed – a need that’s ironically been made more acute in the past few years as the state reduces its contributions to public education, but that’s another blog topic! – and the legislative approach from Abbott and the Legislature has been directive, not cooperative. I believe there’s a better way: the relationship between the state and the communities that it serves should be an ongoing negotiation. I further believe that in issues of natural resources, the community’s voice should carry the most weight. Those closest to a resource know best how it should be used. Their voices should be heard. Our companion animals enrich our lives daily, as they have for thousands of years. Who knows where humanity would have ended up if not for our companionship with animals? I have a great relationship with my dog, Walter. He makes it easy, since he's probably one of the most chill dogs in the universe! I'll never forget the day he became a member of our family: we went to an adoption event in the parking lot of the Bass Pro Shops in Grapevine, and I was walking around while the rest of the Riddell crew was looking at cats. Walter was in an enclosure and had been all morning, according to the staffers there, just lying back and watching people walk by, but as soon as he saw me, he stood up and cried to be let out. It's like he'd seen an old friend. I went over and met him, and he was the friendliest guy, laid back but excited to meet me. They put him on a leash and I took him over to meet my wife and kids; he snuggled up against them immediately. All of us just knew right away that we belonged together - Walter included. The rest of the family is convinced he's a Tibetan Terrier, but I think he's an adorable mutt. Whatever the breed, he's terrific. Animals have no voice of their own, and can't speak for themselves. When we enter into a relationship with them, it's our responsibility to treat them humanely. It's an issue that needs to be addressed, and I'd like to reintroduce the bill in the next session with Rep. Davis's support and cooperation. I’ve been thinking about it ever since! And of course, he’s right. I’ve been thinking about what the symbols mean, and realizing that the way we talk about the symbols enables us to talk, as a society, about the meanings behind the symbols without speaking directly about them, and that transference enables us to address very difficult topics. A statue is far more than a lifeless hunk of bronze, it’s on a pedestal: it’s literally a depiction of someone you are intended to look up to. When people speak about statues of generals in the Confederacy, they’re not discussing history or what really caused a conflict that began over a hundred and fifty years ago – even though that’s what they’re saying on the surface. What they’re really talking about is access. For people that think in terms of race, or assume that their genetic material has any bearing on their destinies - personally, I don’t, but I know many people in this country do – the predictions of demographic trends are frightening. If demographic trends continue, sometime around 2045, non-Hispanic Caucasians will be a minority in the United States. I believe we’ll be stronger as a nation when that day comes, because maybe by then we’ll have moved beyond judging others by their skin color – a person can dream! For people that still think in terms of race, though, it’s a cause to worry about whether “people like me” will have access to the same opportunities. It’s telling that the tiki torch marchers in Charlottesville were chanting (among other things), “You will not replace us.” To them, the removal of a lifeless hunk of bronze was a metaphor for the erasure of their own identity, because they’d based the core of their identity on the color of their skin. The challenge for all of us is, how can we, as a society, get people to stop thinking of “people like me” in terms of skin color – how do we change that population to “fellow human beings?” Maybe that’s why we’re having passionate conversations about statues: because we can’t yet answer that question. Also, think about what those statues raised during periods of racial strife mean to people whose family histories include slavery. They are invited to look up to people that fought and died to keep their ancestors in a system that defined their ancestors as three fifths of a human. It doesn’t matter physically to them now, but as a symbol, it says, “The people that fought to dehumanize your ancestors are worthy of emulation.” What message does that send about their own access to dignity, or the value of their own history? Who is given access to history, those that oppressed and lost the right to oppress, or those that survived the oppression? NFL players were kneeling during the Anthem to make a statement about access to justice, at first, and subsequently to make a statement about access to free speech. For some, this is a legitimate expression for concern for a trend in our society, namely, that African Americans in the United States are three times more likely to be killed by police officers than white people. For others, any type of protest is excessively demanding or ungrateful, and is met with outsized hostility. Think of how popular the topic of running over protesters became – and how popular it remained, even after it happened in real life. When we discuss the details of the salaries of NFL players, or how established the tradition of standing for the anthem is at NFL games, or whether the action disrespects the military, or whether it’s “the right time” to protest, the question we’re dodging is: who has access to justice in America? Those that support the knee believe there’s still unequal access to justice in this country for some, based on the color of their skin. Those that are incensed by the knee fundamentally believe there’s no inequality of access to justice for that reason. But because this subject is so difficult to raise and discuss rationally, we speak about the details around the knee – passionately. How do we get past talking about the surface topic of standing for the Anthem, and instead talk about the things that matter? When can we as a people start having honest conversations? September 1st, 2017 – We urge Governor Abbott to convene a special session to repeal HB 1774. This new law weakens homeowner protections and homeowner remedies when an insurance company acts improperly in paying their weather-related claims. As Texans and Americans, we can all agree that the families devastated by Hurricane Harvey deserve to be paid every penny they are due from insurance companies so that they can begin rebuilding their lives. I'd like to tell you about an incident I had a few months back on social media. I noticed a friend with substantially different political views from mine, posting what I suppose must have been, in retrospect, a rhetorical question about "liberals and how they think." I replied to it, politely, respectfully and intelligently, assuming he'd asked the question because he wanted to understand a perspective that differed from his own. One of his friends replied to my comment with ANGRY COMMENTS IN ALL CAPS that weren't quite as well-reasoned as my own, from my perspective, but I took the time and trouble to respond to them politely, maintaining my desire to be informative and get to a place of civil discourse. My friend deleted the entire thread. I reached out to him privately and expressed remorse that my wish to be informative had caused so much conflict. 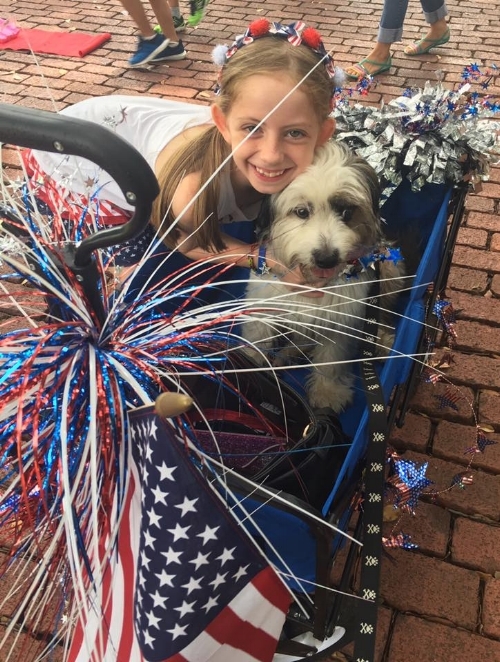 I told him that it was important to me to retain connections with people of differing opinions, because that's increasingly necessary today, and he agreed. The next day, he sent a note out that he was "taking a break from social media" because he hated it, and was unfriending everyone, but it was nothing personal. It's a small world, though, so I still see his comments on the posts of mutual friends. I suspect he may have only unfriended people that weren't like-minded with respect to politics - or maybe he just unfriended me, that's certainly possible! From where I sit, the most dangerous trend in America is our increasing tribalism. To the greatest degree in our country's history since the Civil War, we're separating ourselves into factions and demonizing the people on the other side. We no longer think of ourselves as "We the People," it's becoming "us versus them." In the conversations I've had so far in this campaign, with people of all political stripes, I hear occasional comments like, "I wouldn't vote for a Democrat if my life depended on it," or, "This is proof that all Republicans are evil." More often, though, the people I talk to express an eager desire to return to civil discourse, to elect politicians that work cooperatively for the betterment of the community, and who listen to all the people they represent, not just the people they agree with. The unifying potential of the technology of connection that has sprung up in the past thirty years has become little more than a lost opportunity, and it isn't the fault of the technology. The fault lies in our humanity and its clash with that technology - the two gears of human nature and technology are grinding up against each other with sub-optimal results. When we first started climbing up the evolutionary ladder, human beings could not survive as "rugged individualists" - we needed our group to eat and live through winter. Over millennia, we passed along the genetic traits of sensitivity to the opinions of others - because insensitive jerks tended to get kicked out of the cave to be eaten by saber-tooths. In the centuries since, the people that were aware of social cues tended to get more dates than those that weren't and thus, passed on that awareness to their children. It's so refined in us now to seek the positive approval of our peers, and the corollary, to fear the disapproval, that scientists have noticed that people receiving social criticism - being told, "No, you're wrong" – show activity in the same part of their brains as physical pain appears. Scientists believe that’s why so many people fear public speaking: it’s an entire roomful of peers that might disapprove of us and kick us out of the cave! We feel like we must seek and retain the approval of our group to survive - even though that survival is not as threatened as it was twenty thousand years ago. Our brains can't tell the difference. At the same time, technology is shrinking the world at an accelerating rate. When you can sit down at any computer and immediately communicate with any person in front of a computer in Ho Chi Minh City or Helsinki or Harare, how do you define "our group?" Some people react to this inevitable world-shrinkage with hostility and alarm, and they lash out at the people getting closer to them. We've seen evidence of this in such diverse places as Mosul and Charlottesville, in Richmond and Urumqi. Some people want their groups to remain small and very specific. Larger groups present a greater risk of social pain. The "public square" used to be a physical place, an actual public square, and it was a place you had to go to conduct personal business, hear the latest news, interact with the state and socialize with your peers - where is that place now? All of these functions have moved - either partially or completely - into online places. When the public square was physical, you had to interact with people you disagreed with - there was no avoiding them. You had to be civil, and you had to listen to your neighbors, even when you disagreed with them. Technology changed all that. We now have the ability to self-select our public squares. We can watch news catered to our opinions. Media corporations have happily responded to the demand for programming that prevents us having to feel the pain of being wrong about our beliefs. We can remove from the square all of the people that might disagree with us, and live happily in a cocoon of comforting agreement. But of course it doesn't make us happy. Most often these cocoons enrage us, because they render us less able to hear the ideas of people that are different, and that acting against our instincts to build communities and cooperate - it frustrates us, because we know it's wrong. I believe we must work past the pain and fear of hearing differing opinions, and start working together to build the world we all want, our mutual goal of a world of peace, opportunity and cooperation. I'm a Democrat, and proud of it, but I seek out the opinions of people that aren't. I make it a monthly mission to check the websites of media outlets far to the right of my position. I cherish the friendships I have with people that disagree with me, and I love a spirited but civil debate. One of my primary motivations for being in this race is to bring back the kinds of conversations we had, as a people, in the public square. As a people, as a nation, and as a state, we have to see ourselves as - in precisely this order - fellow humans, fellow Americans, and fellow Texans.